The 2018 NAB Show used Feathr to earn 3000+ conversions and 10x ROI. NAB Show, held April 7-12, 2018 in Las Vegas, is the world's largest convention encompassing The M.E.T. Effect, the convergence of media, entertainment and technology. 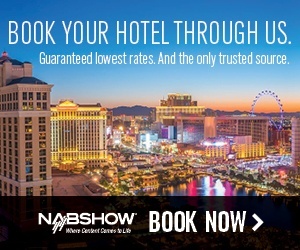 NAB Show is the ultimate marketplace for solutions that transcend traditional broadcasting and embrace content delivery to new screens in new ways. From creation to consumption, across multiple platforms and countless nationalities, NAB Show is where global visionaries convene to bring content to life in new and exciting ways. 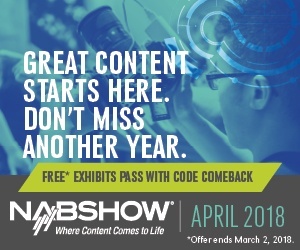 NAB Show has grown to be the ultimate event for media, entertainment and technology professionals looking for new and innovative ways to create, manage, deliver and monetize content on any platform. The problem with success is that it quickly becomes the norm, and continued growth becomes the expectation. 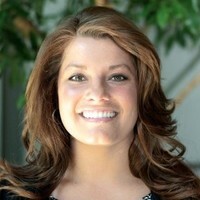 The marketing team for NAB Show came to Feathr looking to increase just about every marketing metric, from registrations to awareness to exhibit and sponsorship sales. Luckily for them, that's what Feathr does best. NAB Show's plan was to utilize Feathr's powerful Ad Targeting module to run ad campaigns to carefully-segmented portions of its online audience. The ad campaigns were to begin 6 months before the 2018 NAB Show, as best practices dictate. 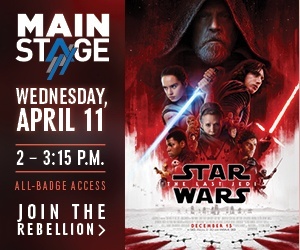 From reg opening up until the days before the event, NAB Show's plan was to keep display campaigns running and every base covered. The plan worked. The key to NAB Show's success was a dedicated, thorough, and varied set of ad campaigns that ran consistently for months before the 2018 NAB Show. Feathr's Ad Targeting module makes it easy to segment audiences and run and track campaigns, allowing even small teams to make a big impact. Some examples of the dozens of ad creatives NAB Show used throughout the pre-event timeline to build awareness and earn registrations. The campaigns NAB Show's team ran with Feathr got an enormous 4,500,000 impressions. 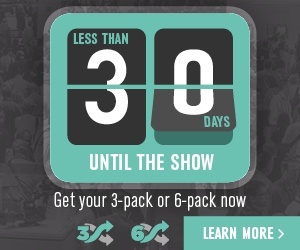 The number of impressions speaks to the length and breadth of NAB Show's impressive campaigns. In total, Feathr campaigns earned 3,212 registrations for 2018 NAB Show, at a $7.47 CPA. In all, the value of the registrations Feathr campaigns earned compared to the ad budget was 10:1, netting NAB Show a healthy 10x ROI!